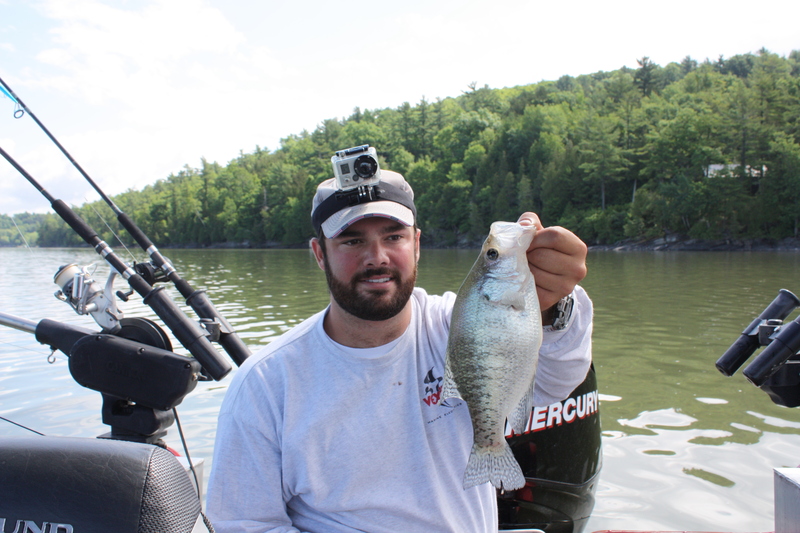 I went out fishing for a few hours on Lake Champlain with James Vladyka, owner/operator of Fish Hounds Outdoors. It was a great day to be on the water as the wind was nil and the sun was warm. We weren’t able to get out on the water until around 9am and the trip was cut short due to unfortunate and unforeseen circumstances. The short amount of time that we were on the water produced some quality fish though. The method we used was Jamies “pendulum theory”. You can find more information on how it works in a post from earlier in the week. “The Lftlures “Live” Baby Shad Does It Again” will tell you all you need to know about it. Fish were caught several colors but the best option was pearl. The fish we were able to hook into were deeper in the water column but there was a fair amount of surface action surrounding us. None of those active fish selected our baits though. 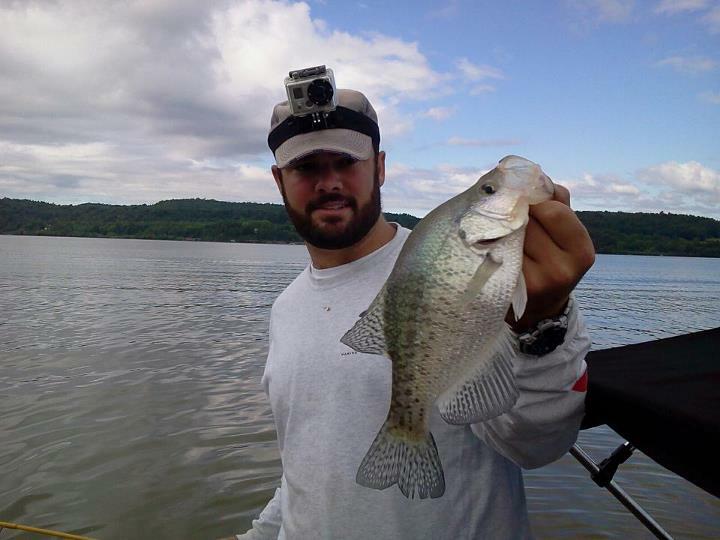 The ratio of black to white crappie was pretty evenly distributed.